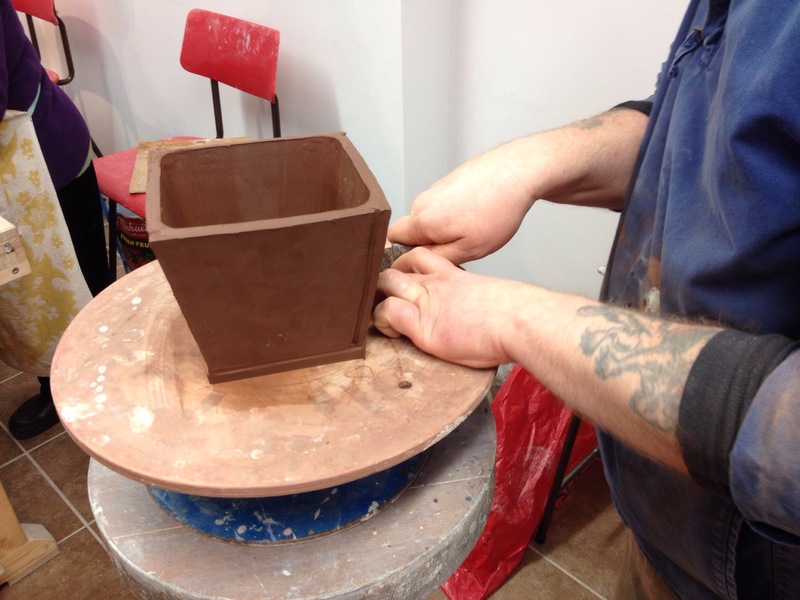 Stone monkey build a bonsai pot day. 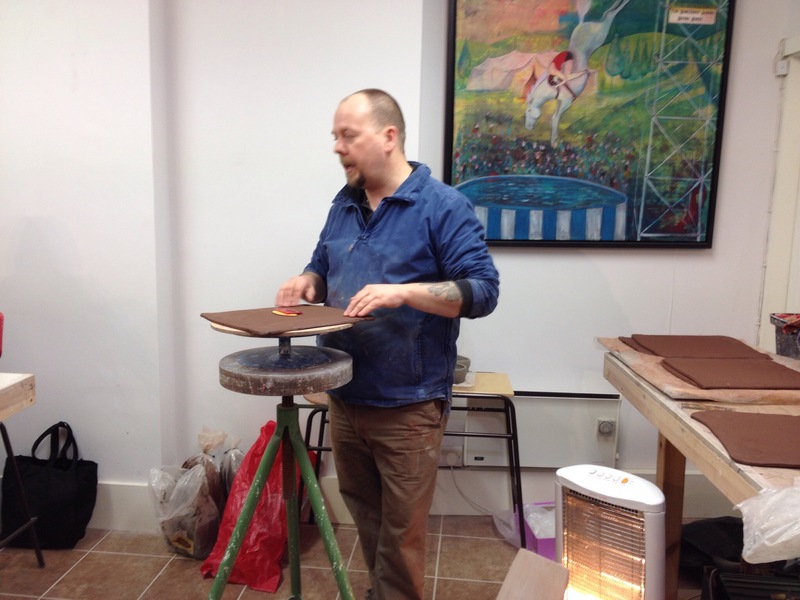 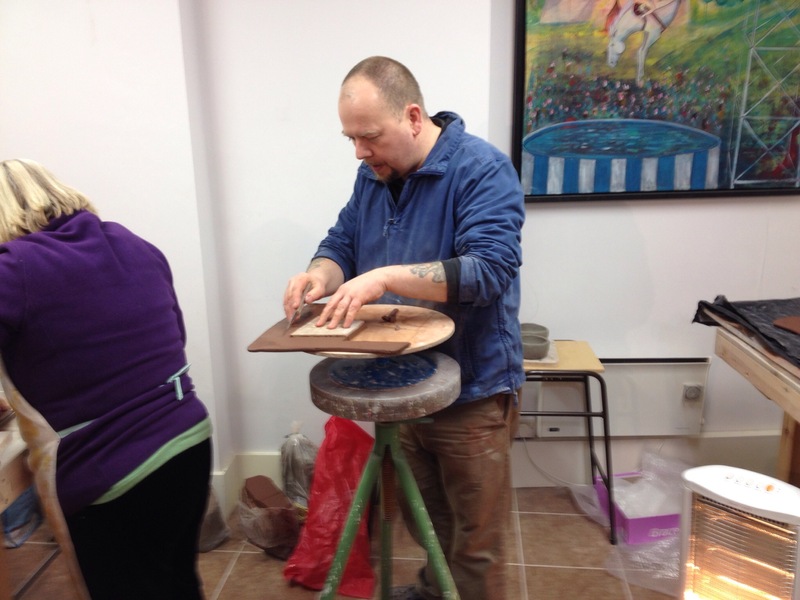 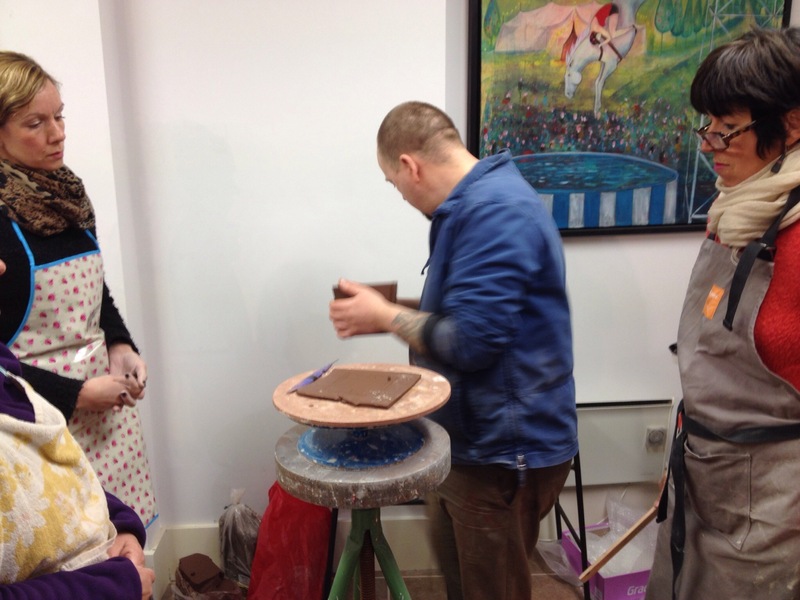 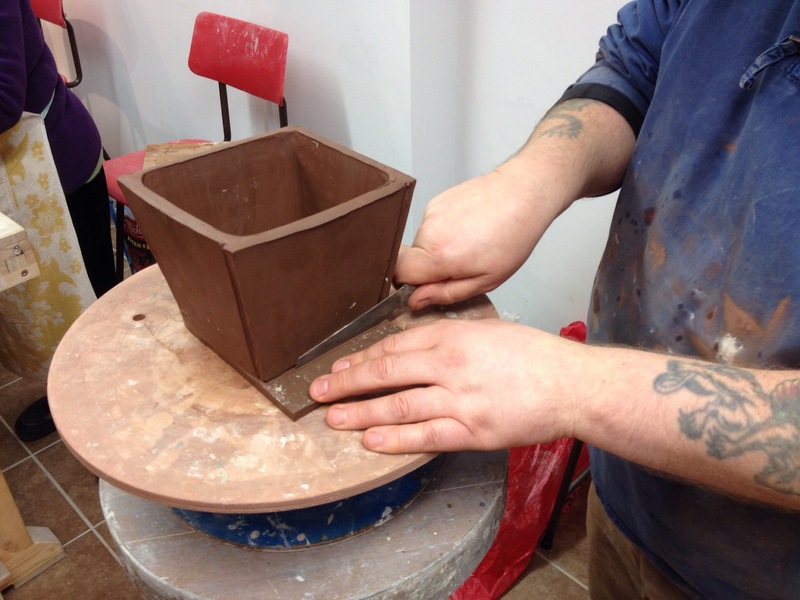 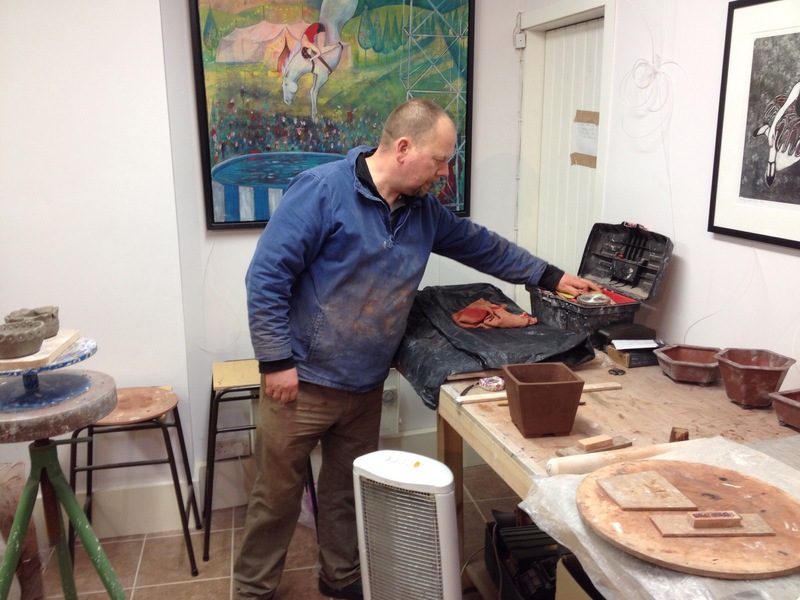 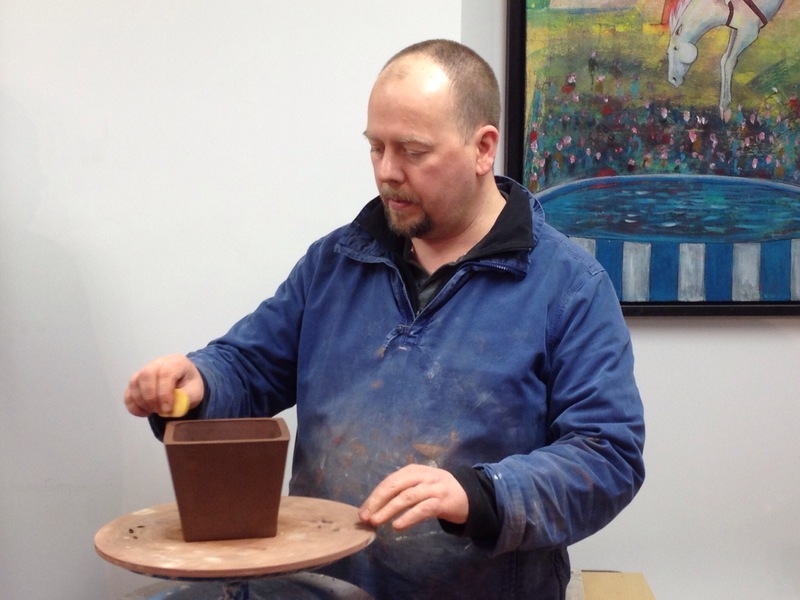 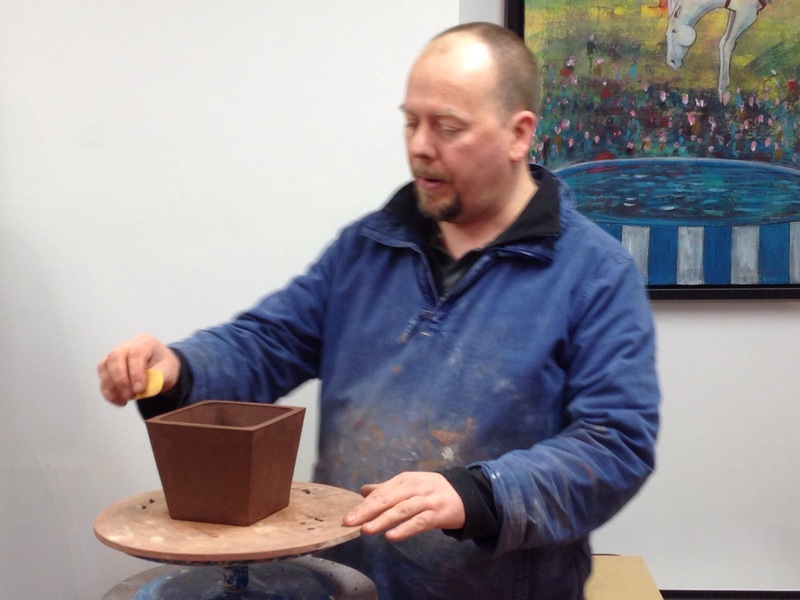 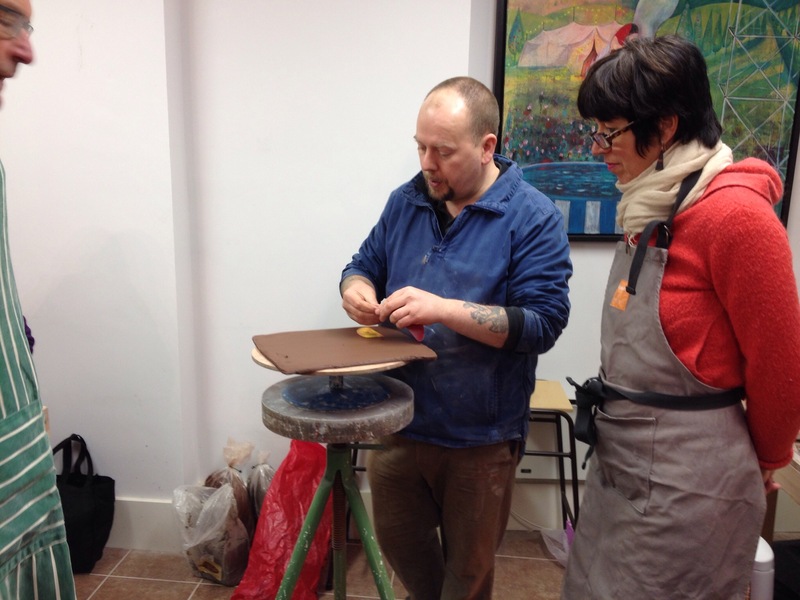 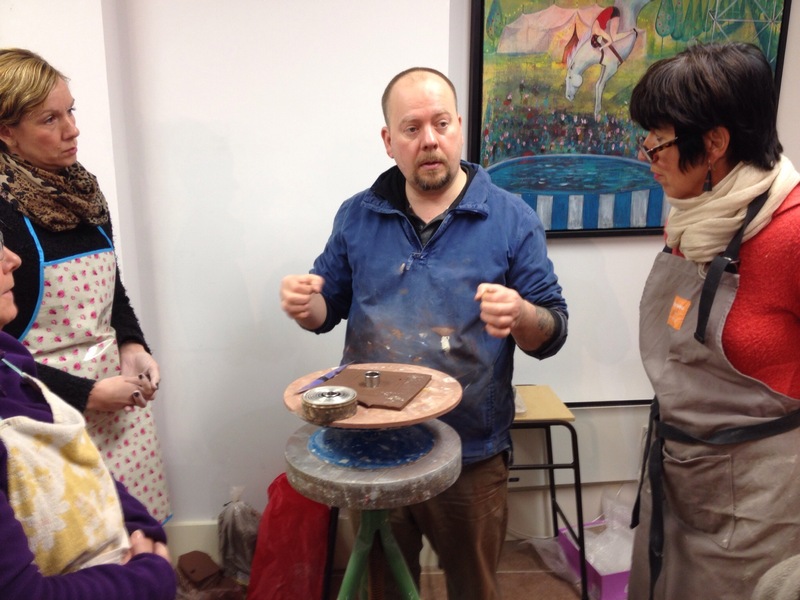 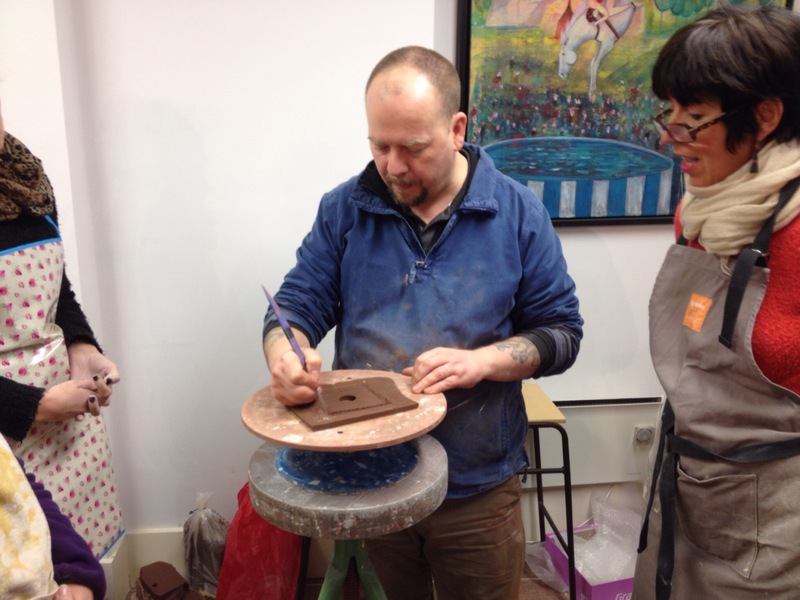 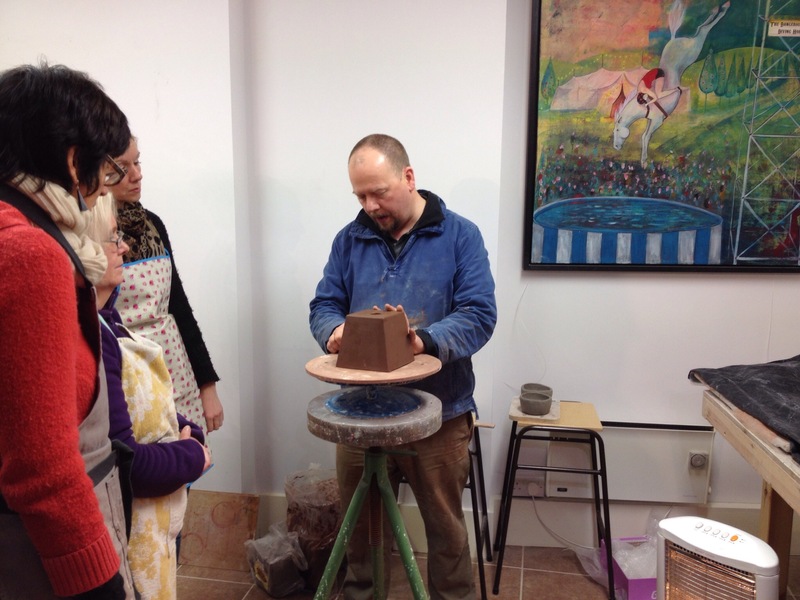 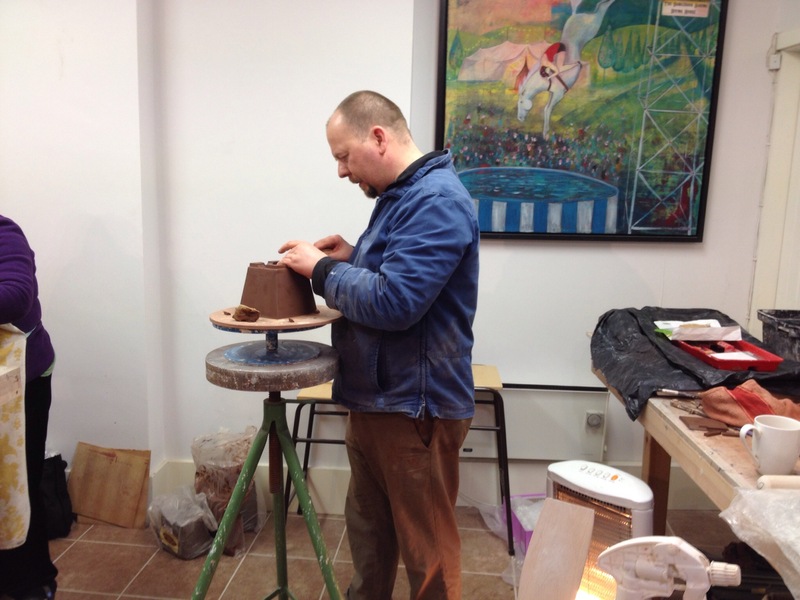 Today we had Andrew Pearson’s bonsai pot making workshop at the http://www.marieprett.co.uk singing soul gallery. 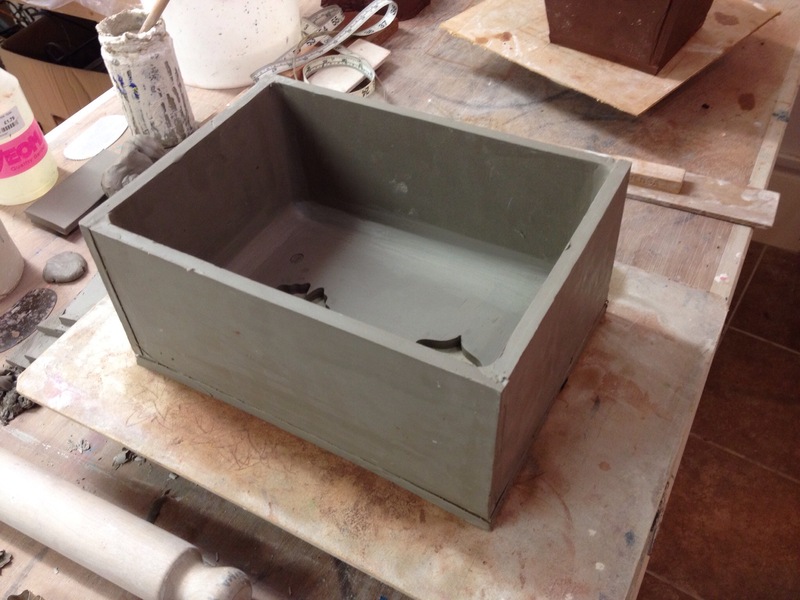 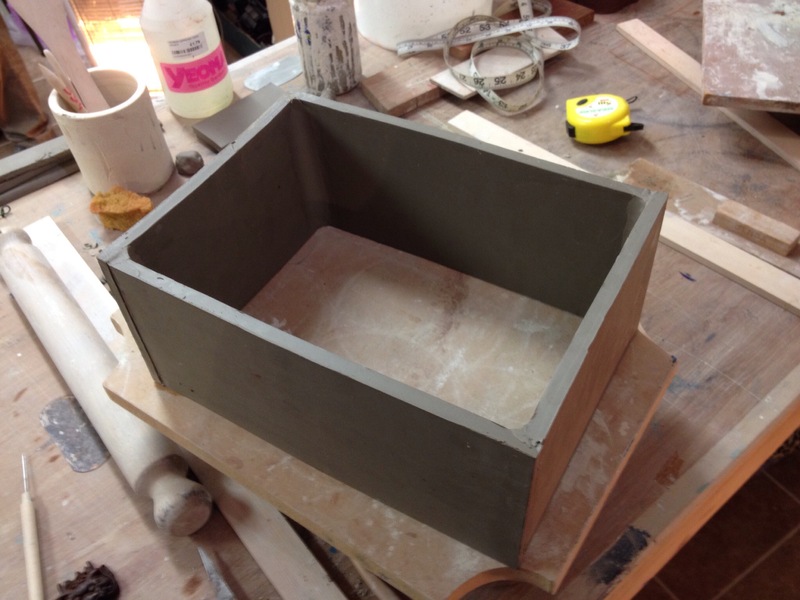 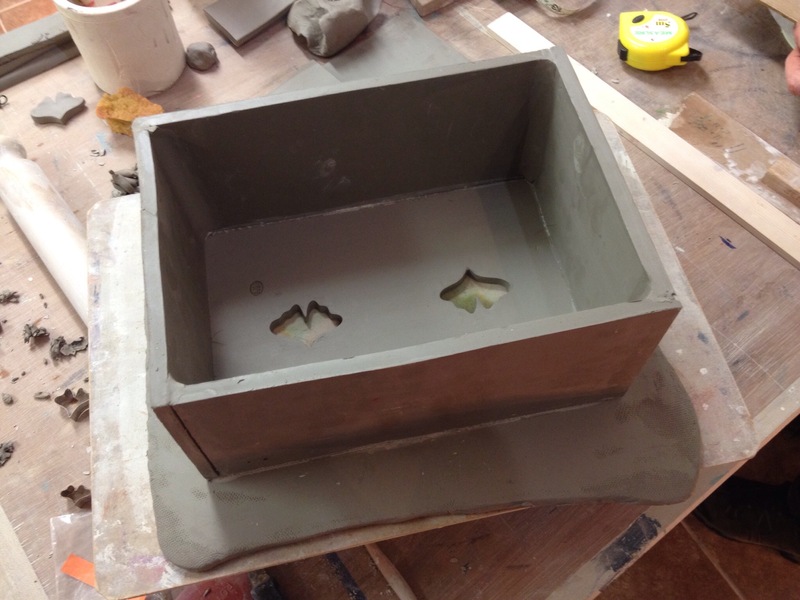 The aim of the day was to build one main slab built pot and a couple of pinch pots. 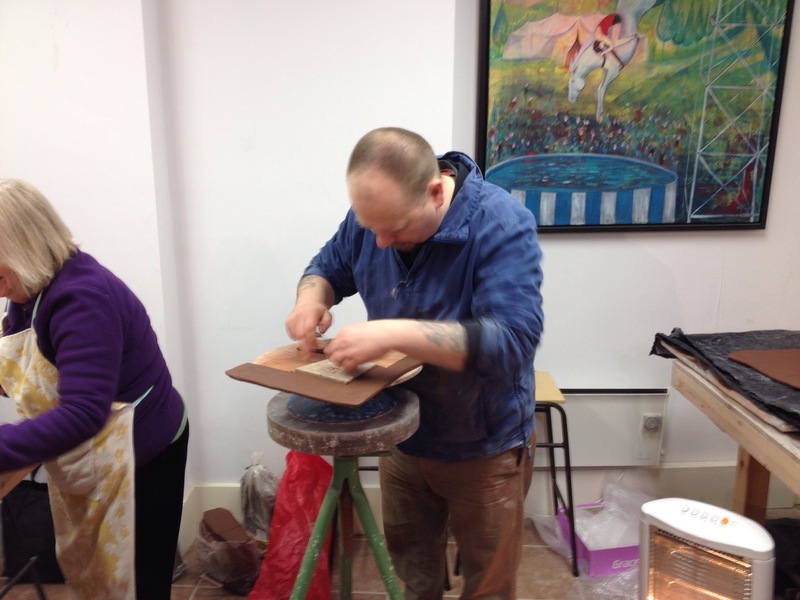 Thank you to Marie for a wonderful lunch spread and keeping our tea and coffee levels up. 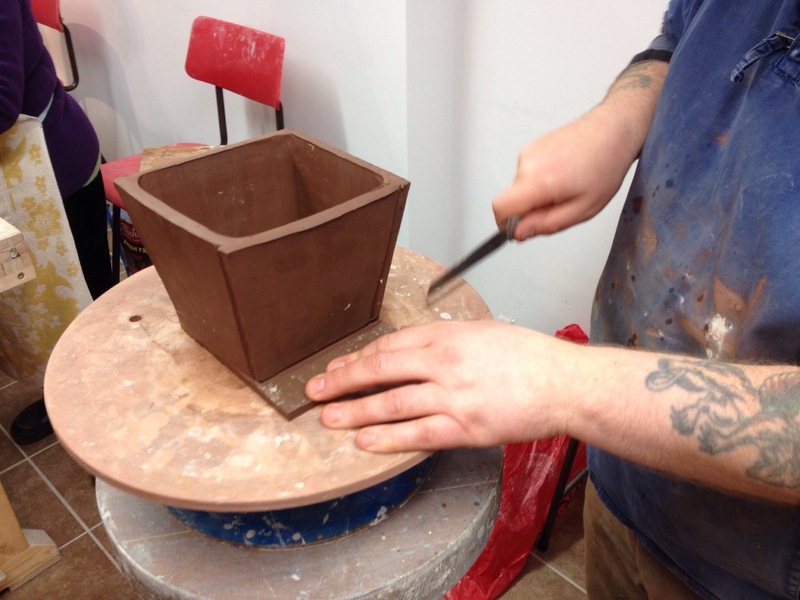 We started with a couple of pinch pots with very cold clay. 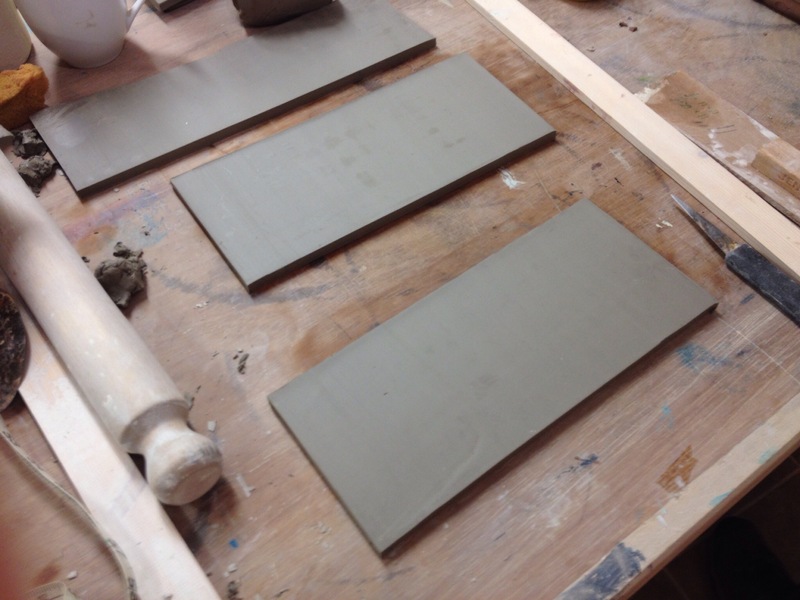 We started with a slab of clay to the right thickness already prepared by Andrew. 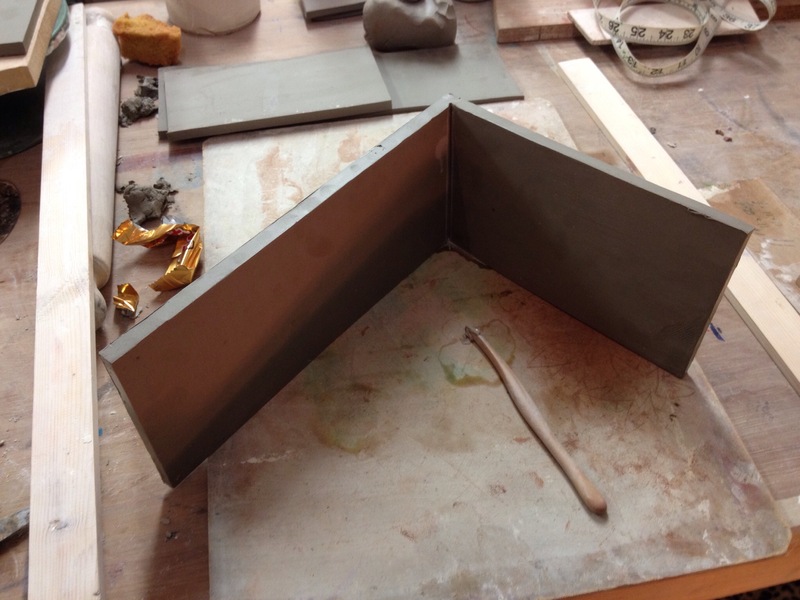 Once smooth we decided what we were making and cut out the 4 walls. 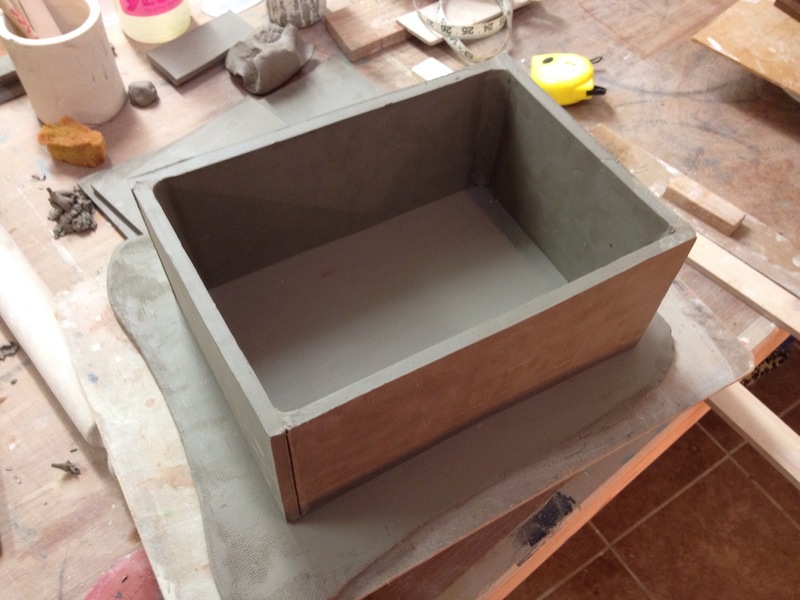 Time to start building, we fixed two wall together so we had two sections fixed. 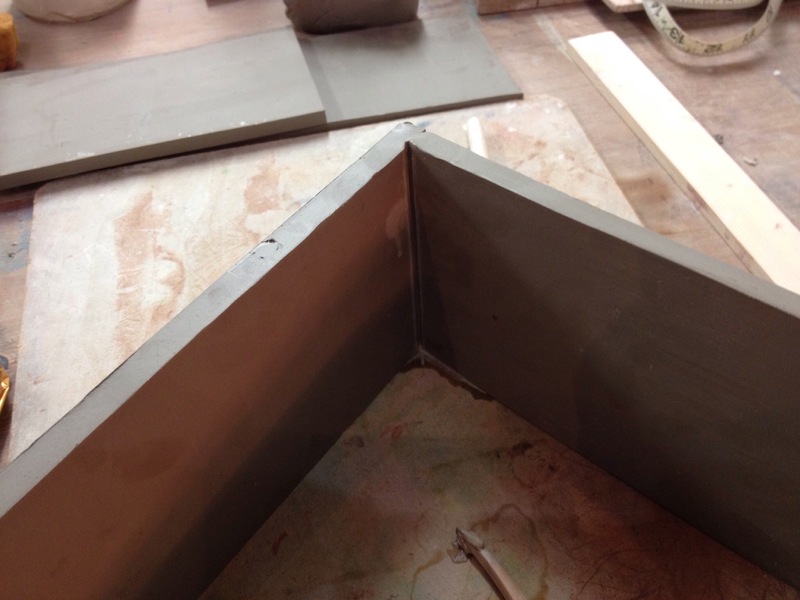 We then got the 4 walls all fixed together. 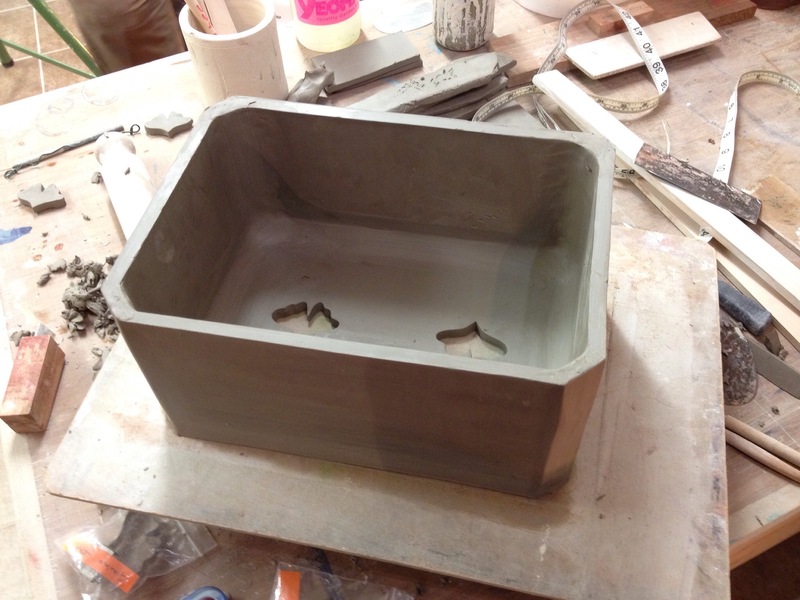 This made it a bit more handleable, so we got the base put on oversized to begin with. 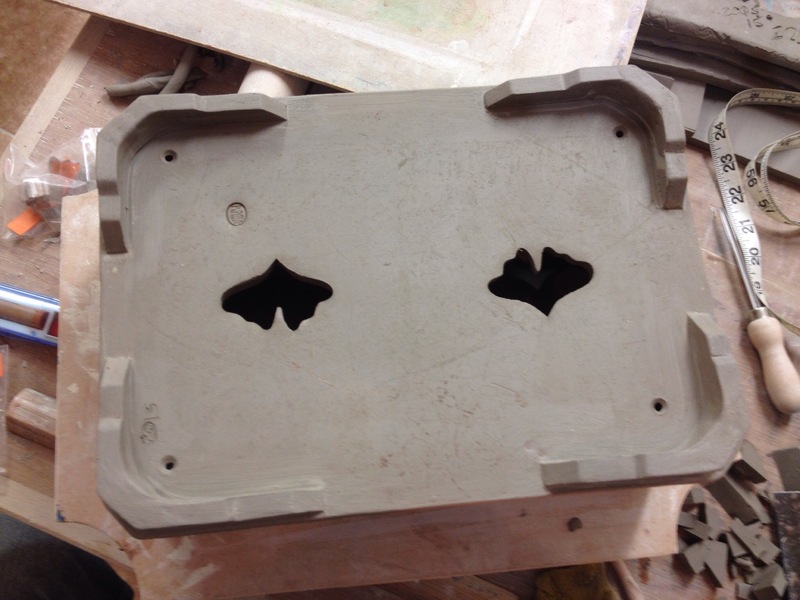 Having got this well fixed to the base and some coils in to strengthen the seams we put in the drainage holes. 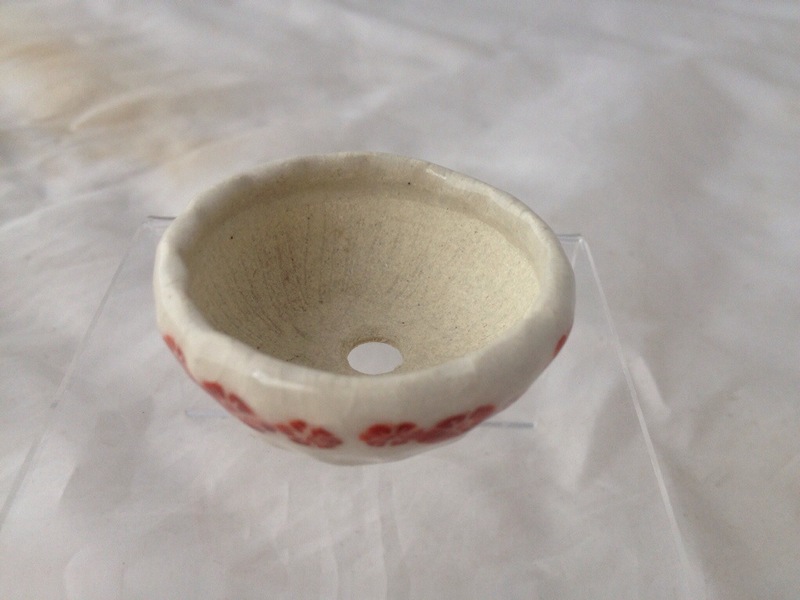 I had a Ginko leaf cutter which I have used before for this job. 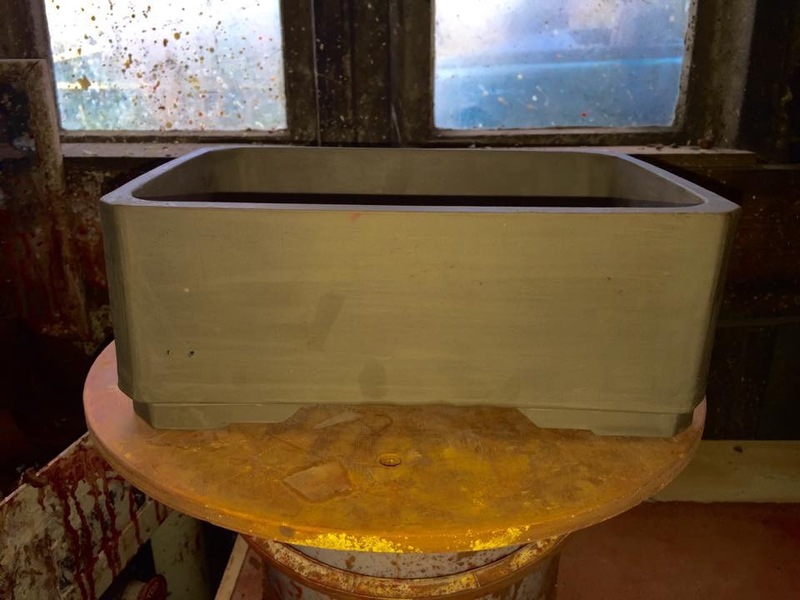 Trim of the excess, know now looking a bit more pot like. 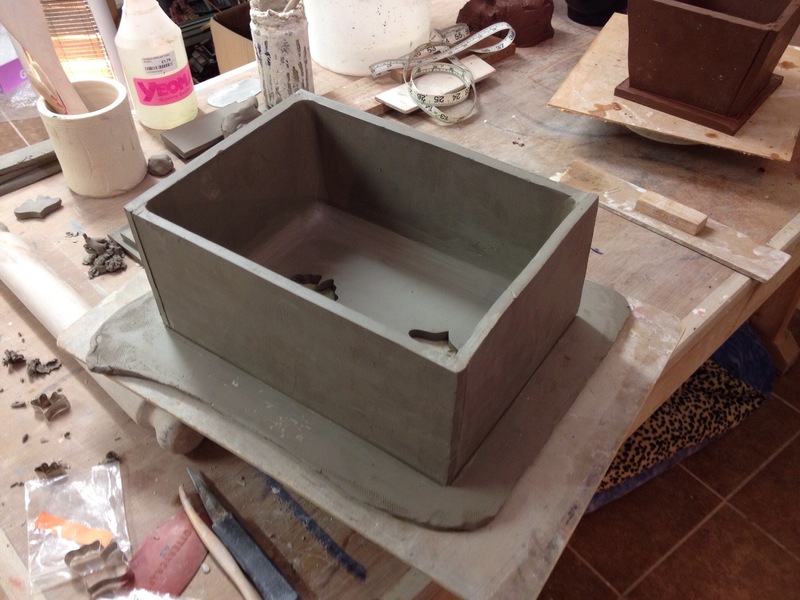 At this point I felt the pot was a little to harsh on the corners for me and what I have in mind for it. 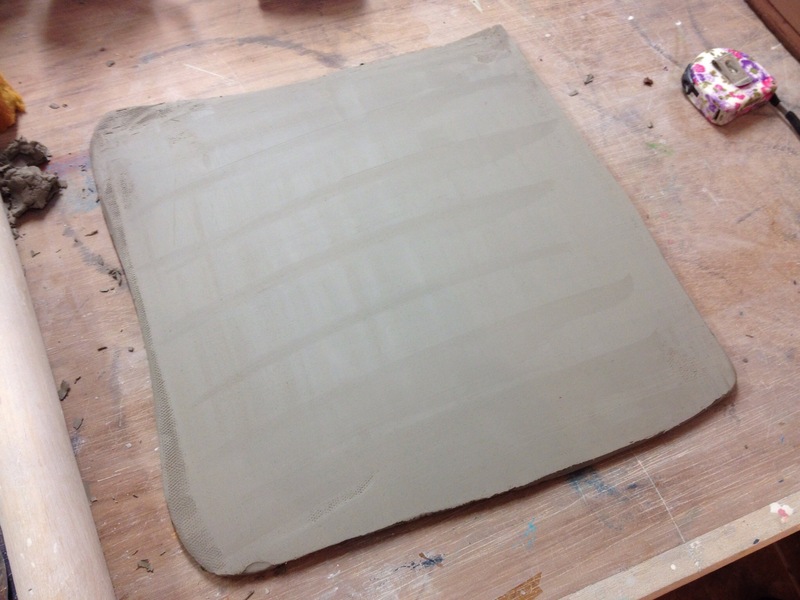 So I set about changing the corners. 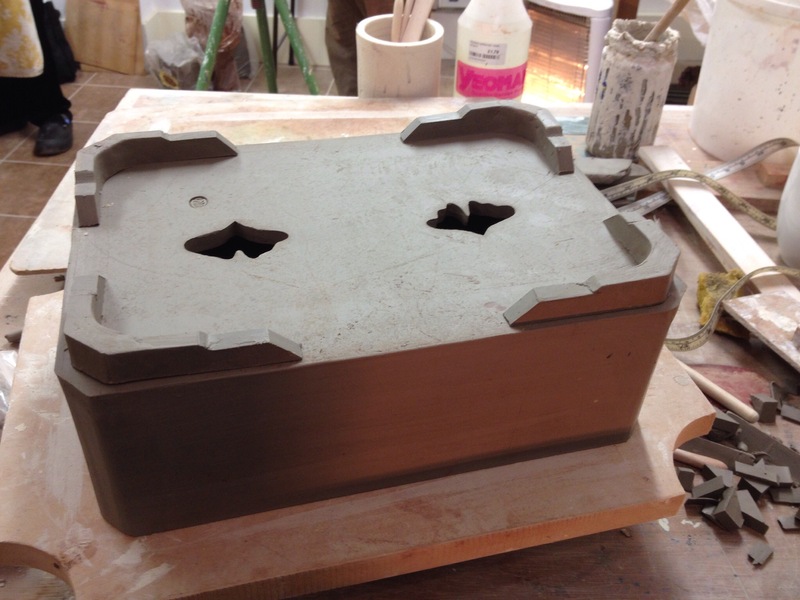 With the image softened our attention turned to feet this can be a real make or break feature. 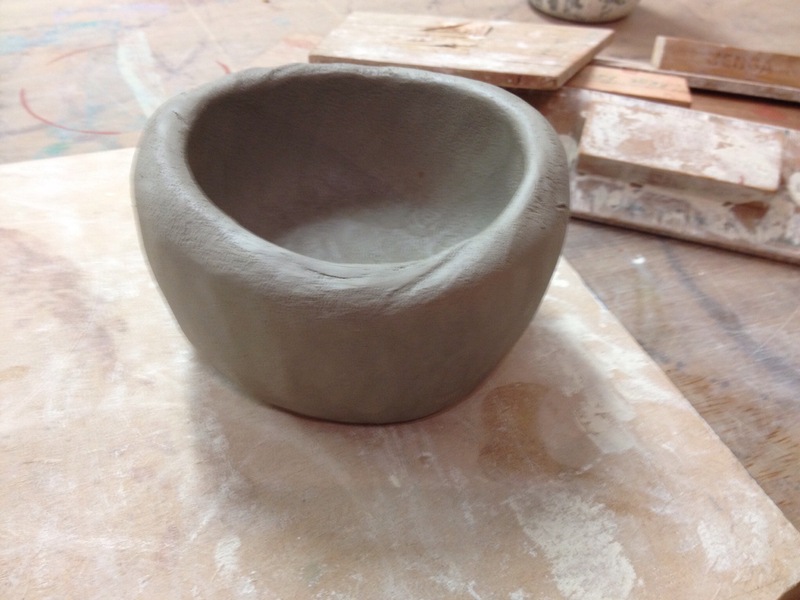 I decided to make this a bit more tricky with a stepped foot. 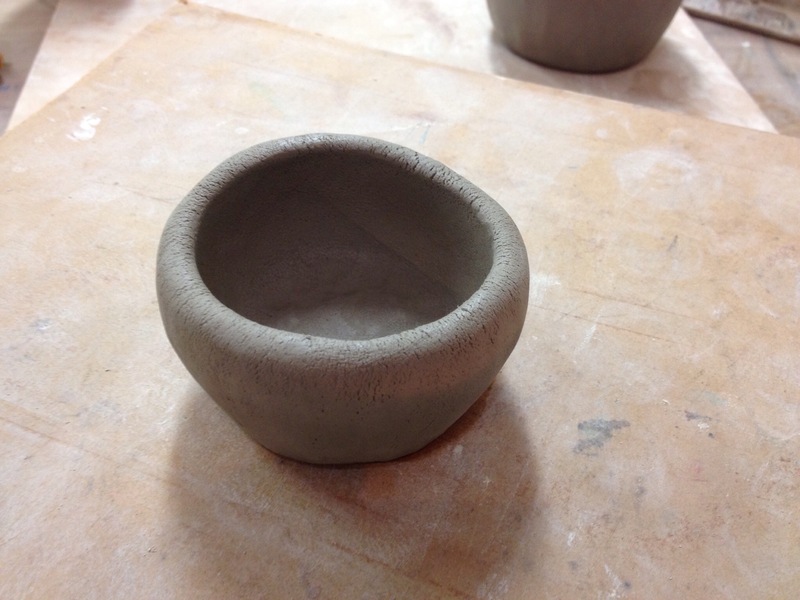 I set them back a bit to stop it looking anymore chunky. 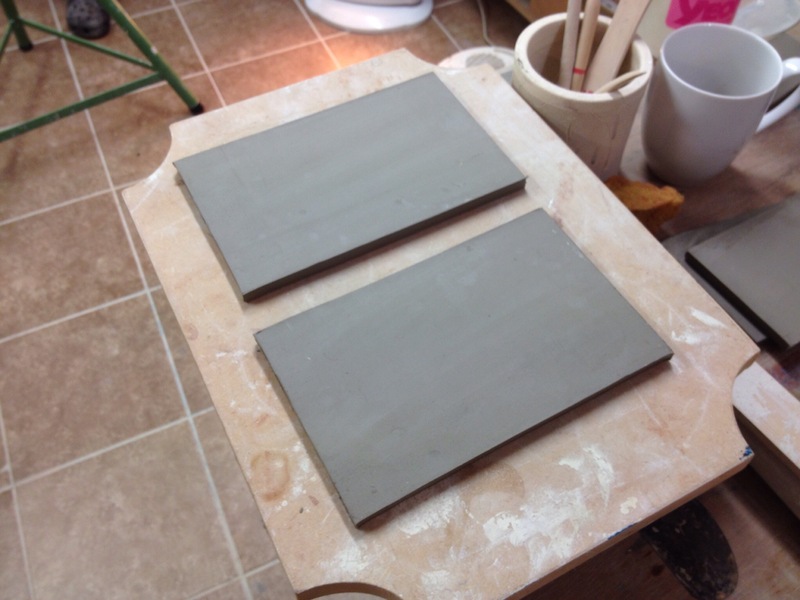 The height was also reduced which leaves a nice straight finish. 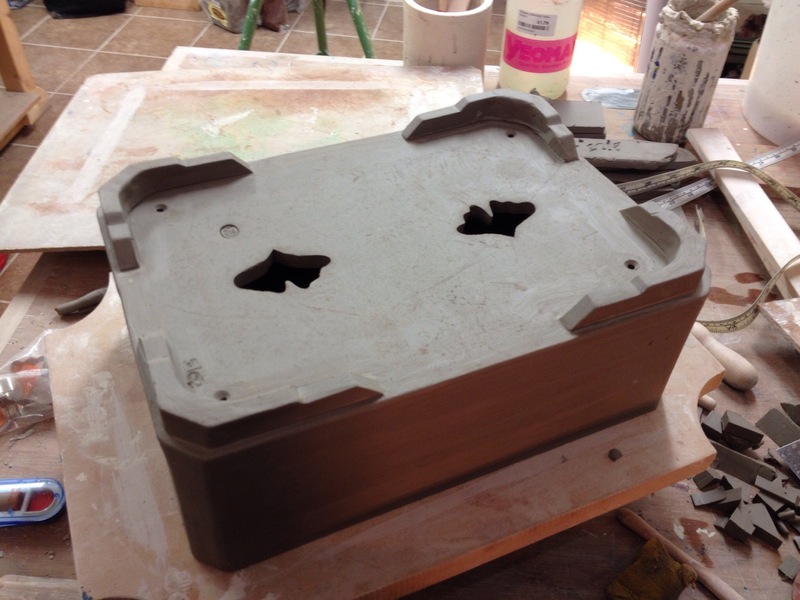 After a whole load of smoothing, final job was to pop in the wire holes. 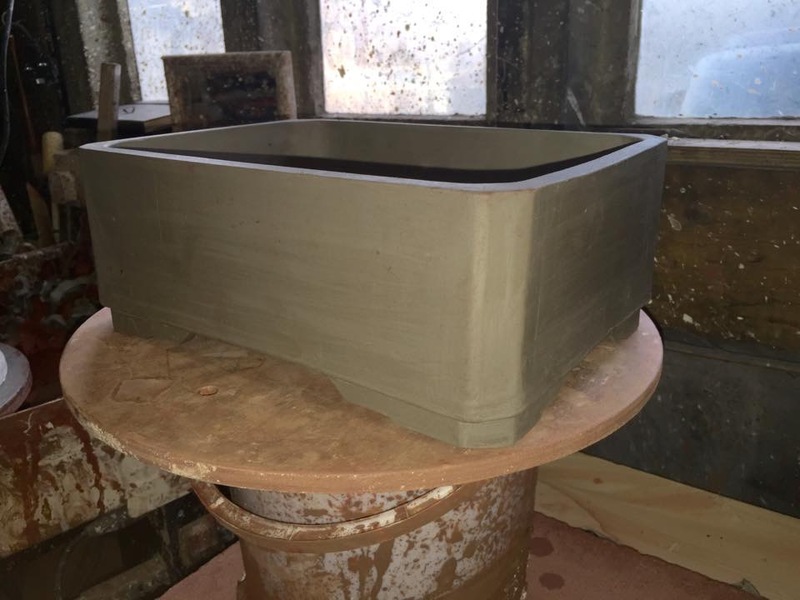 Flip it back over check it over and there you have it best part of 4 1/2 hr work. 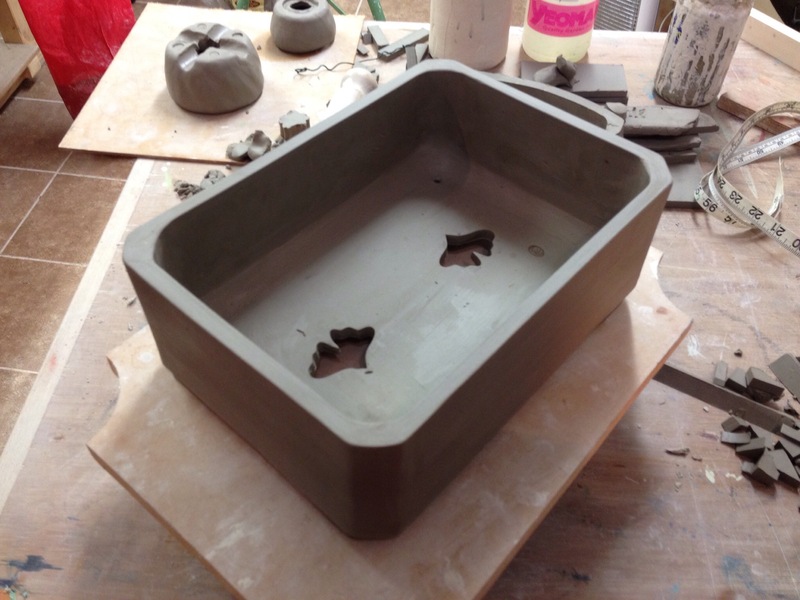 Now it will be wrapped in plastic and left to dry for about 6 weeks before having its biscuit firing. 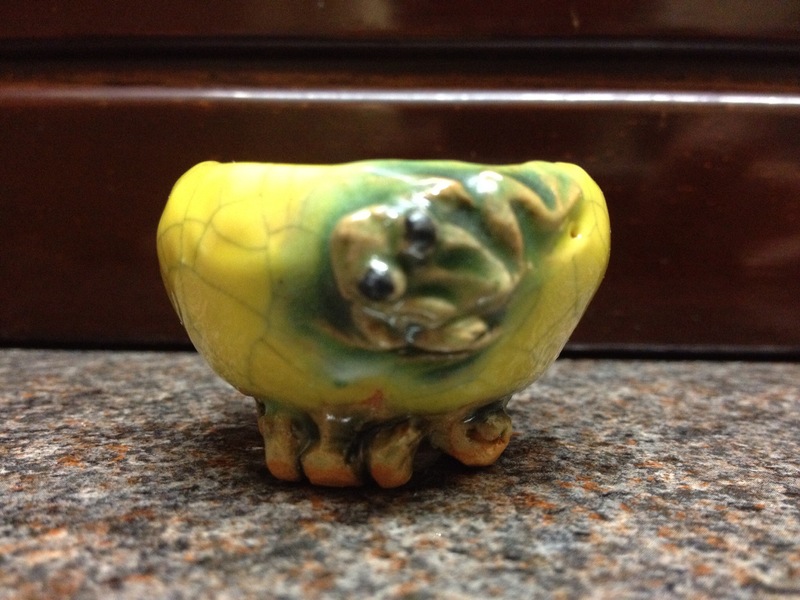 Will do an update when and hopefully the kiln gods are kind to me. 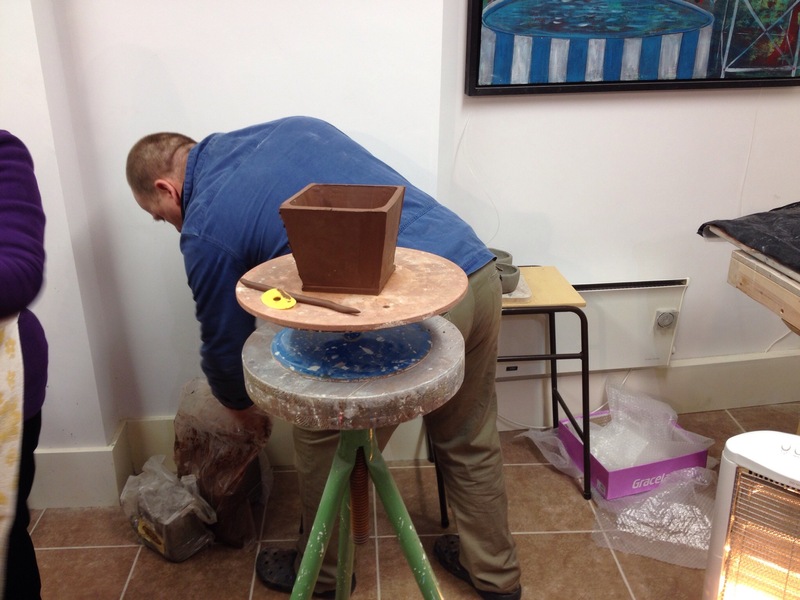 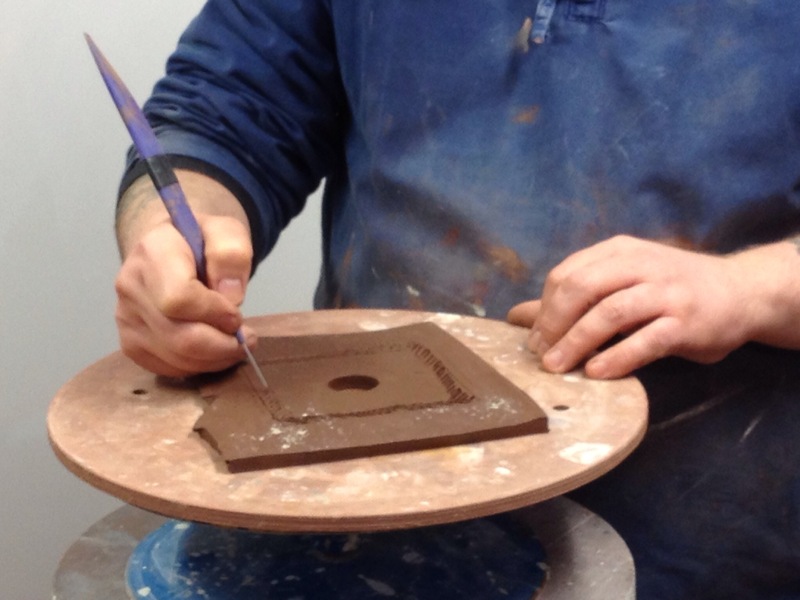 Below is Andrew at work on the cascade pot he made to show us each stage as we went along. 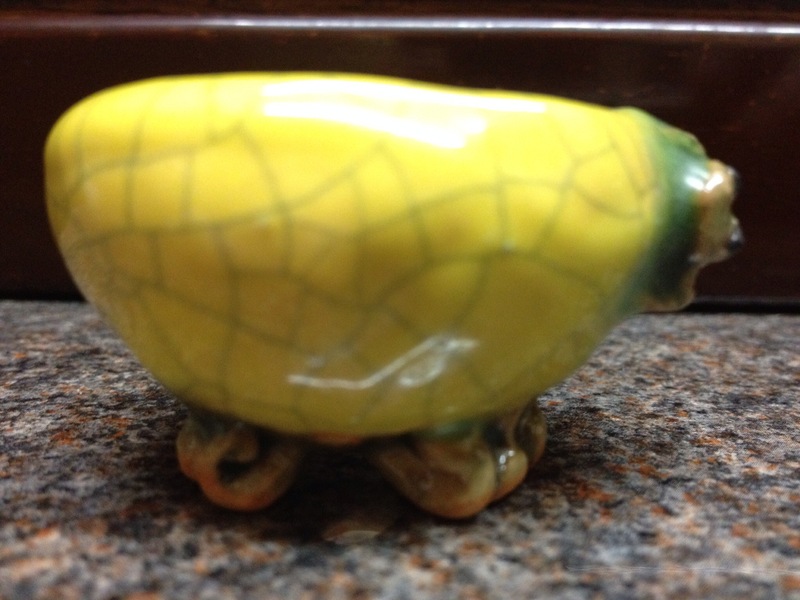 Good grief you still with me. 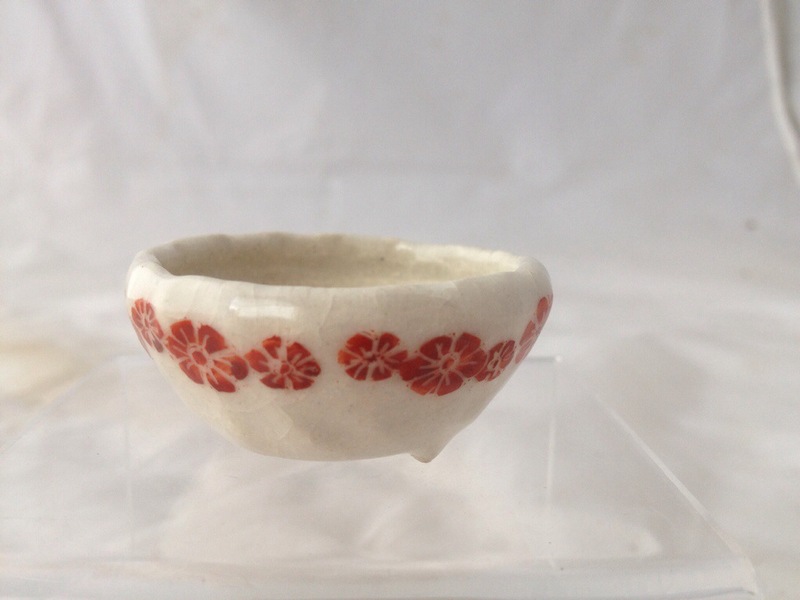 The pot has dried and here it is after the bisque firing. 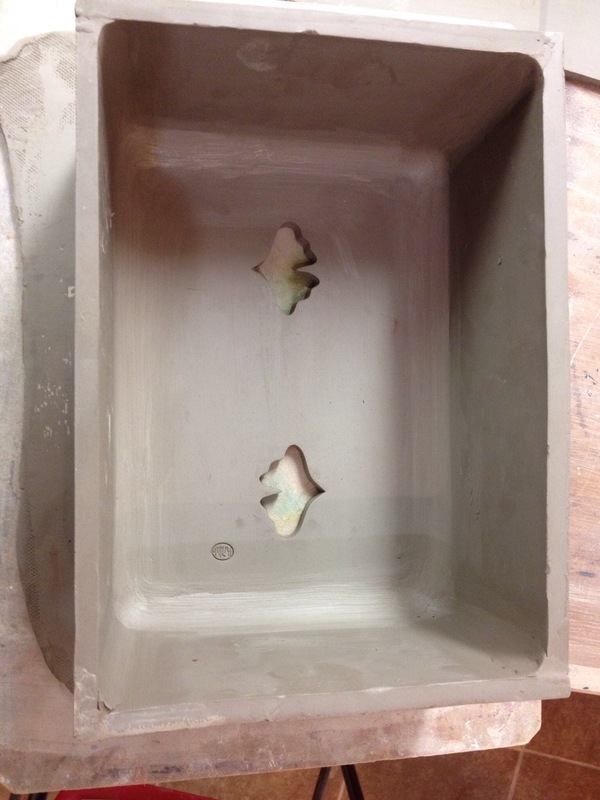 Another firing to go with the glaze and to make it frost proof. 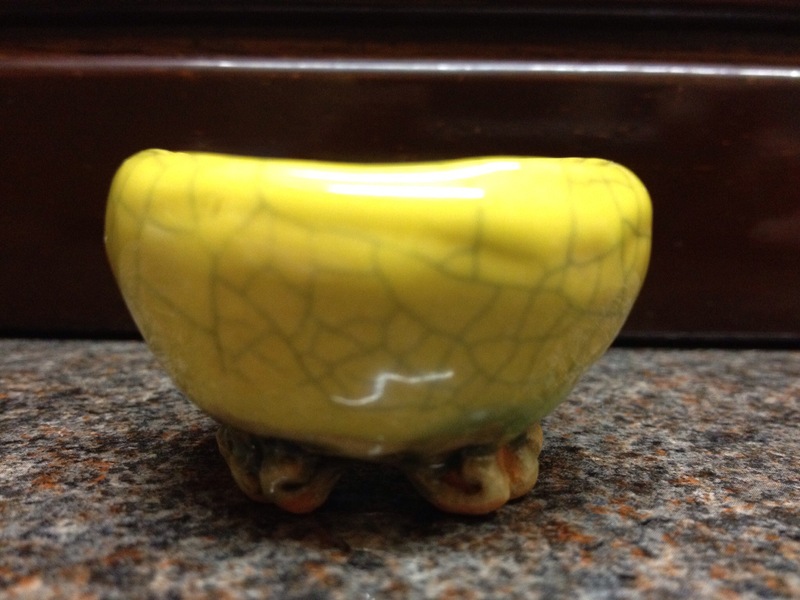 I mentioned in the Heathrow post I had a new pot. 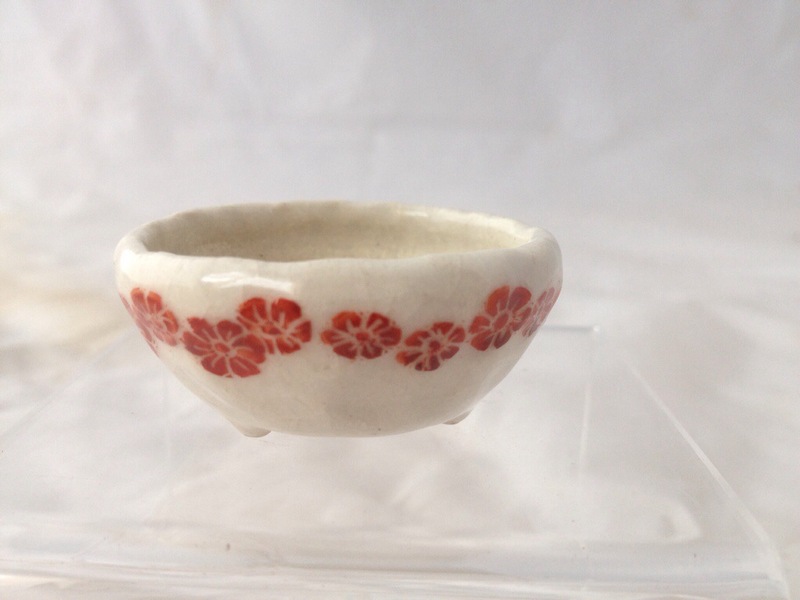 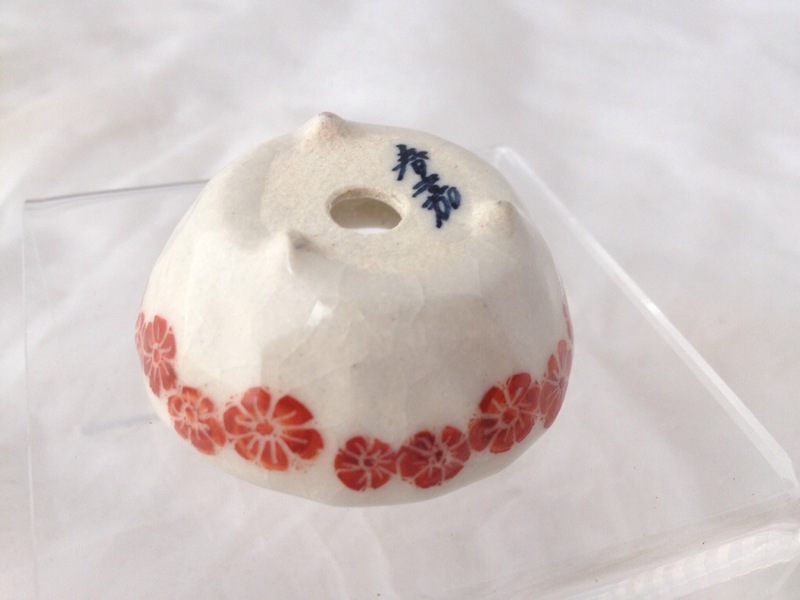 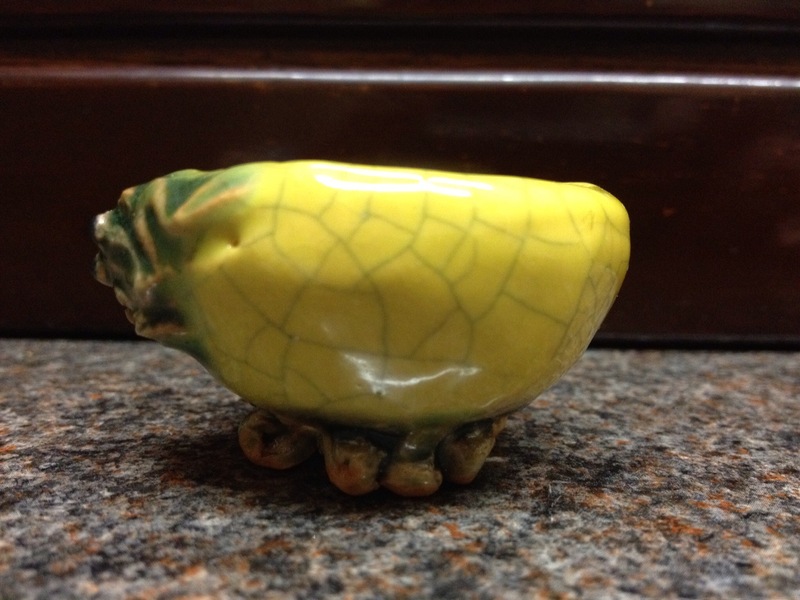 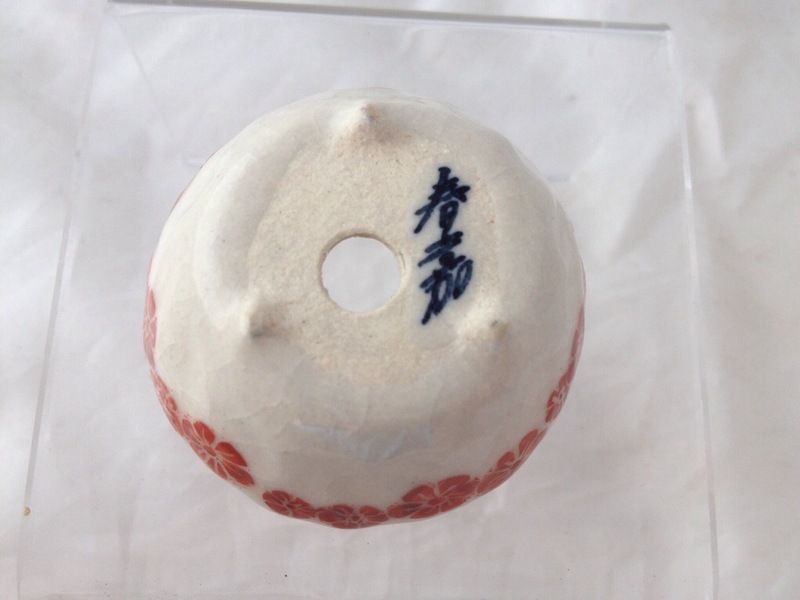 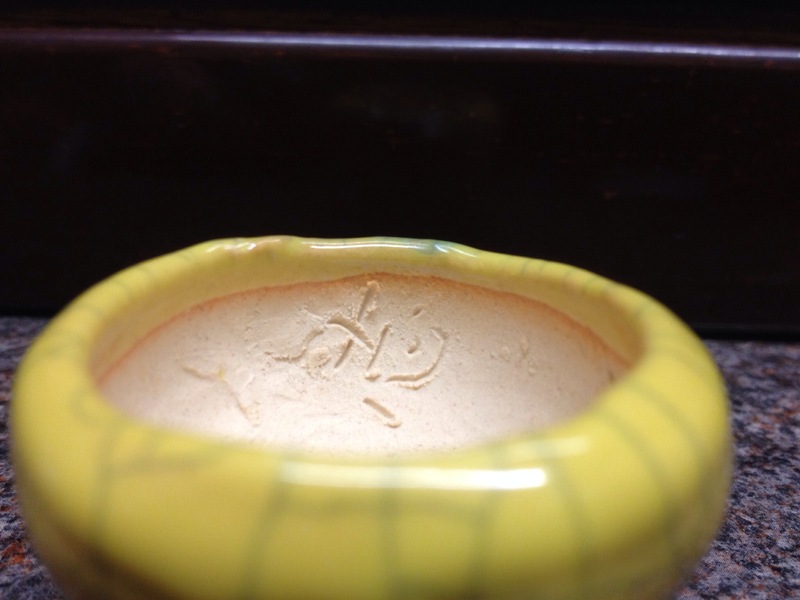 So here it is a very small accent pot by Masashi so small he signed it inside. 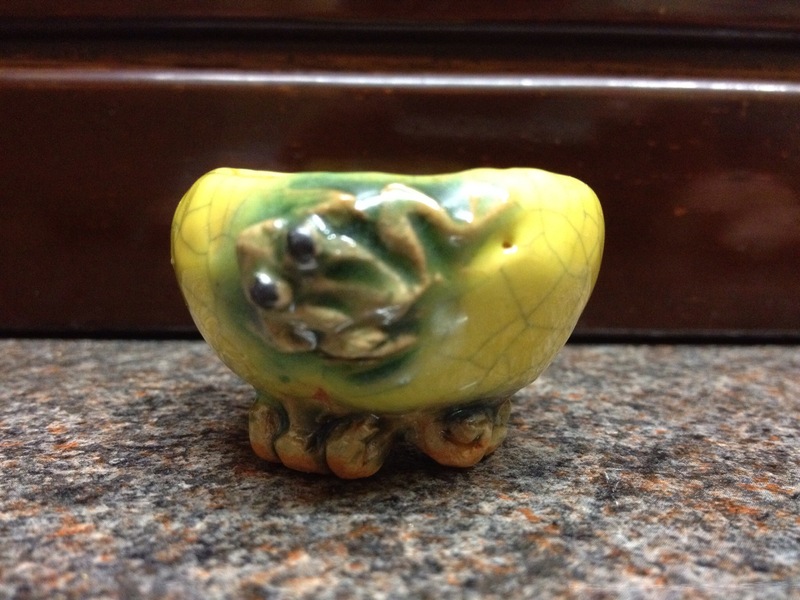 Just got this superb small pot made by the Japanese potter Haruyoshi . 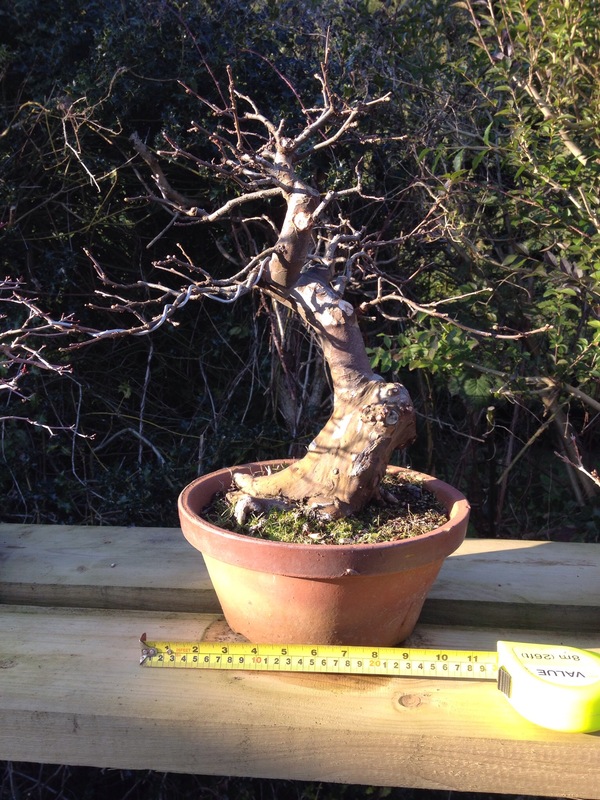 Looking forward to getting this planted up later in the year.